Those, who are enjoying power at present, have recalled 26 Chaitra as the founding day of present political change. They are not tired of advocating the 26 Chaitra as the foundation of democracy or say present day “loktantra”. On 26 Chaitra, 2046 BS, multiparty democracy was introduced by suspending the Panchayat system, which already ruled the nation for three decades. It has already been complete 29 years since demise of the Panchayat system and 13 years since introduction of the present day “loktantra” in Nepal. But what the nation achieved by overthrowing the Panchayat system, this is a burning question. The political leaders, who got chance to enjoy power, have become prosperous. On the other hand, the nation has been ruined in all fronts. Talking about the Panchayat era, the nation was taking a proper course in all fronts. In infrastructural development – construction of Mahendra Highway linking Mechi Zone in the east to Mahakali Zone in the west, construction of hydropower projects including the plan to construct the Arun 3 mega hydropower project, Kaligandaki hydropower project, among others, were possible during the Panchayat era. Industrialization process was started by establishing different industries by the government itself. All the government undertakings were running under profit. Today, the Nepal Airlines Corporation is sick. During the Panchayat era, the Airlines was not only making profit but also expanding its wings. The then Royal Nepal Airlines had already started its flights to the European countries and also to Japan and China. It was further planning to fly to the USA. Today, many of the government undertakings have already been disposed and the remaining government undertakings are facing a heavy loss as they have turned into the recruitment center of the political parties and the venue of rampant corruption. Nepal was the country exporting agro-products including rice. 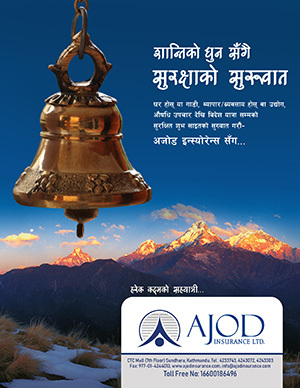 Today, Nepal imports rice and other agro-products. Today, the educational institutions have been ruined very badly due to the political intervention. The government and community run schools and also the Tribhuvan University have been ruined due to the politics. Parents, thus, are compelled to send their kids to the private institutions by paying expensive fees. Government high schools such as Durwar, Padmodaya, Juddhodaya, Shanti Vidya Griha, were listed as top ranking educational institutions. Students used to feel pride if they got chance to study in these schools. During the Panchayat days, there were no private hospitals and patients receiving quality service from the government run hospitals. Bureaucracy, police service and the Royal Nepal Army were running under a system and there was no political intervention. People used to feel proud if they got chance to become government officer or police officer or army officer. Of course, corruption was existed but it was controlled. Today, there is rampant corruption and open commission deal as political leaders need money to remain in power. In other word, the origin of corruption is political leaders and political parties. Nepal’s foreign policy was regarded as very balanced and matured. During the Panchayat era, Nepal was able to become non-permanent member of the UN Security Council for two times. Prestigious, capable and renowned people for their works used to get ambassadorial assignment. The Foreign Ministry was known as a prestigious ministry. After 1990 political change, we are confused on what Nepal’s foreign policy is! 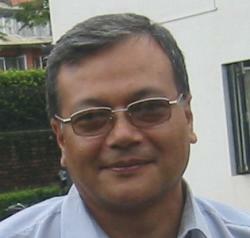 At present, Nepal’s foreign policy is based on the whim of the political leaders. Recent example could be taken as the two different statements of the government and the ruling party on Venezuela. Ambassadorial posts are on sale. Likewise, the constitutional posts are also based on pre-paid commission. Even in transfer of the government officials or the police officials, there is commission game. Without being active worker of the ruling party and without paying commission in advance, one cannot get transfer in lucrative positions. In result, the government organs are non-functional and the government as well is non-functional. The sole aim of the political leaders and their workers is how to make money. And when the party is in power, the leaders and workers are found playing the role of brokers and setting fixer. The political system we have adopted is a very expensive system. Without spending money, one cannot get elected. Also, to run the political party, there is the need of money and the easy way for making money is corruption and commission. The leaders never become tired defining socialism but it has become an abstract art. On the whole, except from blaming the Panchayat system as an autocratic and authoritarian system and blaming the then kings as autocrats, the present day leaders have no other words to condemn the Panchayat era. To conclude, during the Panchayat era, Nepal was heading towards the path of peace, prosperity and happiness, which have been destroyed along with introduction of the multiparty system. People have been exploited by the political leaders and the democracy has got new definition – for the political leaders, by the political leaders and of the political leaders. Nepal’s unfortunate days began along with adoption of the multiparty democracy on 26 Chaitra, 2046, which was solely sponsored by India and later 2006 April uprising, which was jointly sponsored by India and the west.